Posted on 02/04/2011 Can You See Your Own Doctor After a Work Injury in Iowa? Posted on 12/23/2014 The consequences of drunk driving are shocking in this video. Practice safe driving and never drink and drive. ?What’s the value of my motorcycle accident claim if I suffered permanent injuries? One of the most common workplace injuries that results in workers' compensation claims year after year is overexertion. Overexertion can present itself in many different forms. The most significant issue is that most employees are unaware of the dangers of overexertion until it is too late and a severe accident or illness has happened. Because many jobs today are physically demanding, it is easy for employees to become tired or worn out without making anyone aware of this fact. Since the competition to obtain and retain jobs today is so high, employees are more likely to keep pushing themselves despite the warnings that their body is providing them. When you work your body beyond its abilities, you put yourself at serious risk for workplace injuries. Overexertion typically occurs when an employee feels under pressure to get their job done, so they push their body past its normal limits. There is a downside to overexertion for both the employee and the employer. Employees who push themselves beyond their limits, especially when it comes to lifting or carrying heavy items, can end up throwing their back out, slipping, and falling, as well as various other injuries. The typical injuries that occur from these types of accidents are debilitating, putting the employee out of work for a long period of time, causing further delays in the work getting done for the employer as well as a loss of wages for the employee and the necessity to file a workers' compensation claim. Overexertion can also occur in employees that work outdoors in the hot summer months. 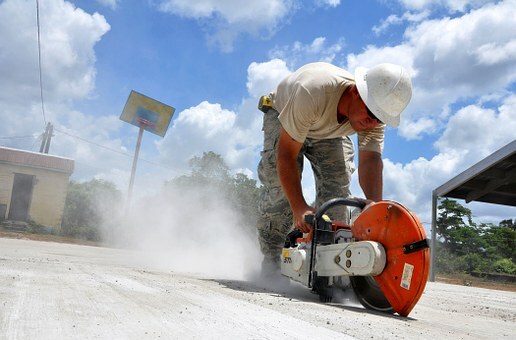 Heat exhaustion is extremely common in the construction industry where the employees are working in direct sunlight, in extreme heat and with powerful tools. Heat exhaustion usually hits out of nowhere and can have very detrimental results, even landing the injured in the hospital.